I promise that I'm not always going to write about the things I miss. I do miss my sewing machine though! I am saving up to buy a Bernina 330, but until then I have to wait for my mom to bring my old sewing machine from the USA over to Europe. I love how cozy and classy these shearling coats look. Real Shearling coats are pricey pricey! And to make one, you would need a sturdy machine. Which means you are probably going to find an affordable one made out of polyester. I do whatever I can to not wear polyester. My rule is... if it will melt to your skin in a fire... it's no good. I do have to make some exceptions though like for bathing suits, and velvet. 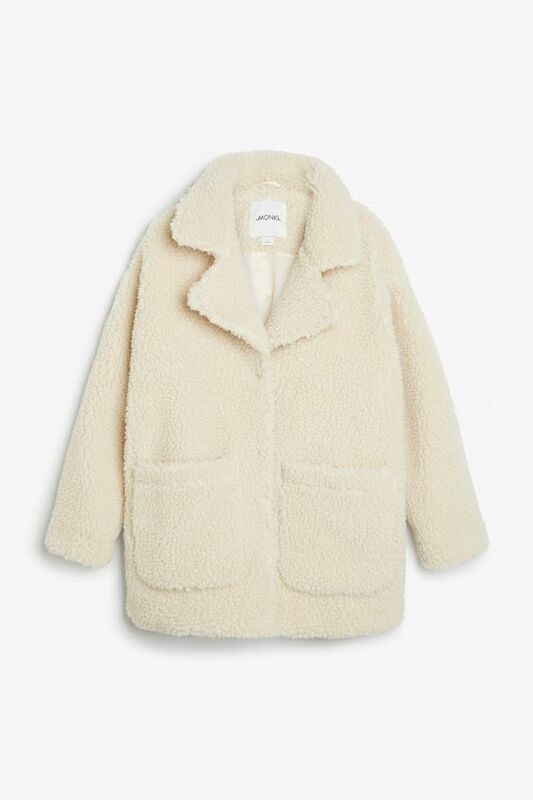 So here's the plan, I found some beautiful and soft organic faux cotton shearling from Purl Soho, and I'm going to sew one up using the Sapporo Coat pattern from Papercut Patterns. I can't wait to bundle myself up in it.